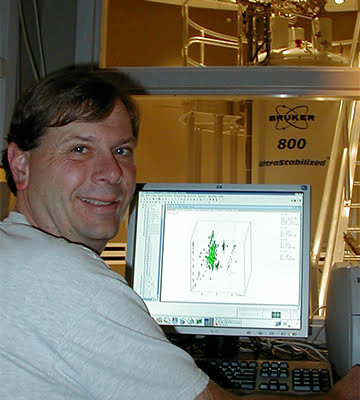 Dr. VanderVelde is the manager of the solution NMR facility at Caltech. Previously, he was the director of the NMR Facility at the University of Kansas, and a senior scientist there. His research interests are in application of NMR spectroscopy to answer chemical and biological questions, and he has coauthored 140 publications in this area. He has a B.A. in chemistry and English from Hope College, an M.A. (literature) and Ph.D. (inorganic chemistry) from the University of Illinois at Urbana-Champaign.